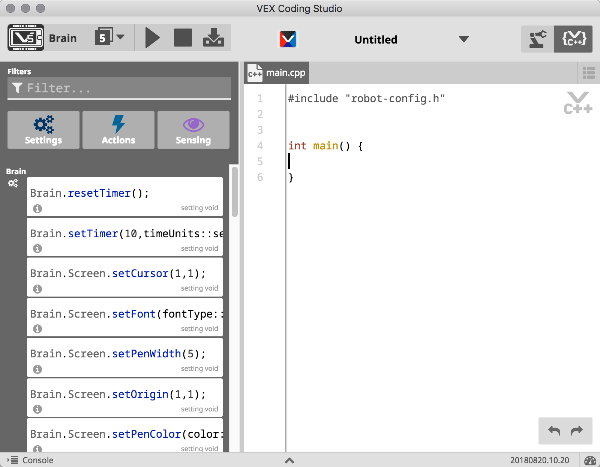 Open or create a VEX C++ or C++ Pro project. 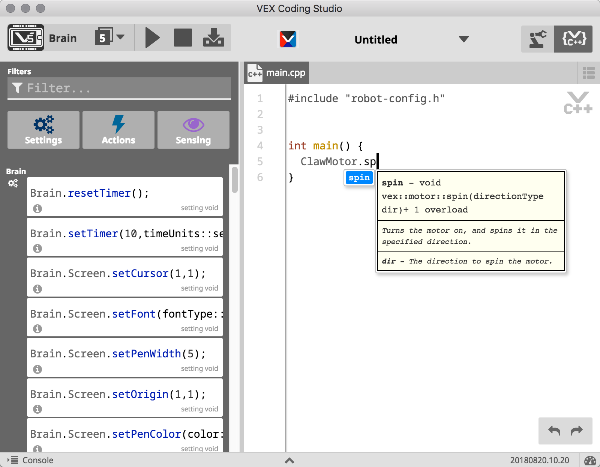 Start typing your code in the text editor window, and the autocomplete pop-up window will appear. Choose from among the available suggestions using the up and down arrow keys. NOTE: Use the Ctrl + space keyboard shortcut to show the autocomplete menu at any time. 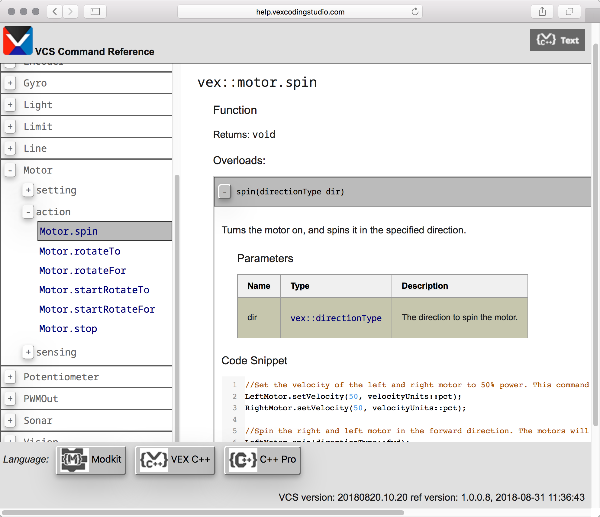 Visit the VEX Coding Studio Command Reference at http://help.vexcodingstudio.com for more information, including code snippets.